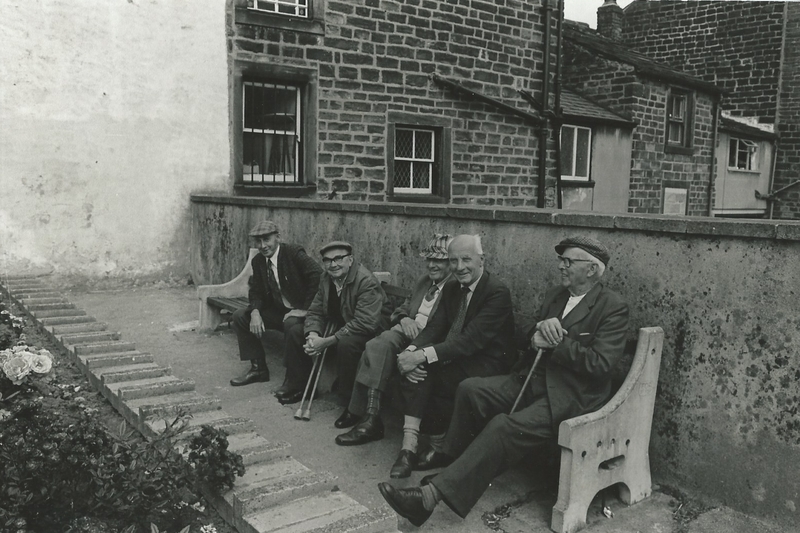 A Silsden specialism: seats and savvy sentiments This photograph of genial gents on the Clog Bridge seat in the late 1960s/early 1970s has been provided by Jill Murray (nee Whitaker). On the right is Fred Wellock, who was married to Jill's mum's Aunt Jane. Originally from Appletreewick, Fred worked variously as a farmer, a coalman, a gamekeeper (while living at Blackpots) and finally at Steeton bobbin mill. Jill remembers his favourite saying was: "A day out of Silsden is a day wasted."